In The Change, the author of the Emberverse novels opens the doors to his post-apocalyptic universe wide. A substantial text at more than 600 pages, it contains 16 stories and an introduction by S.M. Stirling, who also contributes “Hot Night at the Hopping Toad,” featuring the most contemporary protagonist of the Emberverse series, Orlaith. 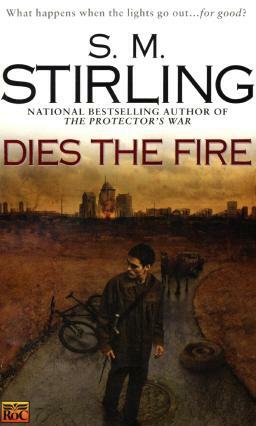 Sterling’s series has seen extensive attention here in the Fantasy Literature column at Black Gate. Those entries were less reviews than low brow scholarly chatter about the many interesting features, issues, and aspects of the Emberverse. This, however, is a review. But what is this Emberverse? 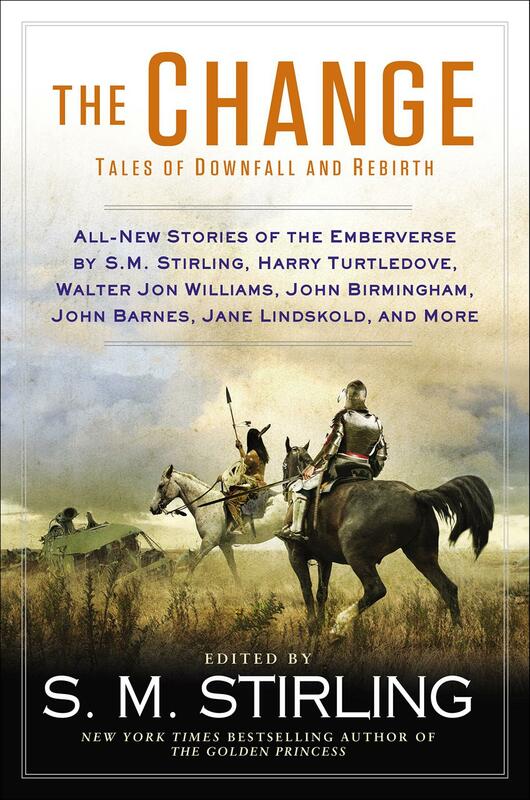 In short, the Emberverse begins with something commonly called the Change (some tales here call it other things, of course). In 1997 all high-energy technologies cease to function — something tweaked the rules of physics. Guns won’t fire. Electricity doesn’t electricit. Even steam engines won’t steam — at least not usefully. While the sun burns on, here on Earth, the technological culture we take for granted grinds to a halt. Billions die by violence, through hunger, and from disease. 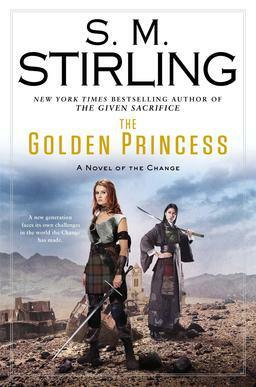 Some small number survive; Stirling’s early novels in the series describe the events of the Change and the first ten or so years; 2014’s novel, The Golden Princess, features the granddaughter of various key players of the recovery from the Change in the Pacific northwest: Orlaith Mackenzie. A lot of war and politics lies behind the cutting edge of the series, but these stories take place at various points in the chronology of the Emberverse. The first question: can a reader new to the Emberverse read and enjoy this anthology? Yes. Yes, the anthology’s tales take some pains to foreground themselves in the context of the existing mythology of the setting. Entirely new readers must be brave, however, and it would be folly for a reader unaware of basic aspects of fantasy literature to just pick this up and go. Unlikely as that is to occur, fair warning. A reader new to the series would do well to flip past several stories and start with M. T. Reiten’s “The Demons of Witmer Hall,” as it ably describes how the Change comes to a college town in the Dakotas, and provides some interesting science as well. Likewise, the good John Barnes’s “The Soul Remembers Uncouth Noises” illustrates both the opening days of the Change as well a logical consequence of who might survive such a shift from meek normality to survival of the strong. Stirling’s imprint on the “reality” of the changed world holds fast in the mind of readers familiar with the Emberverse. Therefore, one of the most effective tales for many readers will be Walter Jon Williams’ “The Venetian Dialectic.” Set in — you guessed it — Venice, Williams brings the Mediterranean to life for readers, an effect amplified by a Stirling-esque attention to research about relevant technological details, concrete-feeling extrapolation of sociological consequences of surviving the Change, and marvelous awareness of local history. Refreshingly, however, Stirling did not require his contributors to fit into his mold. The equally effective and somewhat lighter-hearted “Bernie, Lord of the Apes” by John Jos. Miller focuses the reader’s eye on different textual elements–humor being one — and it is truly impossible to say more about this amusing tale without spoiling it. Trust the title, and enjoy. Likewise, A. M. Dellamonica’s “Rate of Exchange” isn’t a story one would expect from Stirling; practiced readers of the Emberverse must perforce let go their preconceived notions, in particular, perhaps, Stirling’s reliably gritty sense of the real. Take each story as it comes, and more enjoyment will follow. Since Stirling makes the magical water in his desert of the real an abstruse, rare thing — even in later novels magic is uncommon and shrouded in mystery — readers should approach Victor Milan’s “The Seeker: A Poison in the Blood” with a blank slate when it comes to Forces Beyond Comprehension and how they partake in human affairs. This gritty western begs for more, evokes Eastwood and other less Anglo western influences, and solves the problem of the story with verve and originality — if “verve” can be used in a western setting. Lauren C. Teffeau’s “Against the Wind” is another “early Change” tale, but one that takes a few nautically minded characters through their early “independent survivor” phase right up to the decision about how to survive in the long run in a world where Haida raiders come looking for loot and slaves. “Grandpa’s Gift” by Terry D. England evokes a common SF theme of the importance of carrying the light forward to later generations, and does so sweetly and with grace. Alternate history in our age starts with Harry Turtledove — many contemporary readers, at least, associate the sub-genre with Turtledove, and the Emberverse‘s roots and to some debatable degree its entire trunk and branches are an alternate history. His “Topanga and the Chatsworth Lancers” might lack Stirling’s crisp command of military research, but it is a serviceable story with amusing observations to make about local cultures in the LA area and how they play out after the Change. Experienced readers might comment to themselves “I thought everyone died of thirst in southern California (and the rest reverted to savagery),” but perhaps Turtledove knows something mere mortals do not. 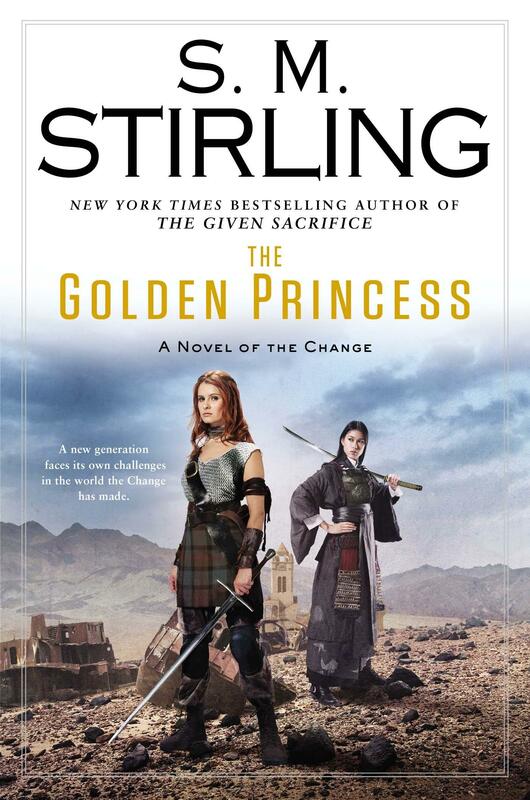 In the novels set after the Change, Stirling addresses social change in a science fictional way; opposing forces shape what becomes the High Kingdom of Montival, in parts of which there are peasants — those who work the land at the behest of feudal lords and ladies — but no slaves. Jane Lindskold’s “The Hermit and the Jackalopes” follows the conflict between those with and those without power as this question is settled in the southwest, pitting powerful ranchers against skilled workers who feel they should be free to move away from injustice, all in the context of a land peopled in part by Native Americans. Fending off the barbarians is the stock in trade of Kier Salmon’s “Tight Spot,” in which readers learn more about those crazy McClintocks, the other kilted people of Montival. And in John Birmingham’s “Fortune and Glory” readers can mull the meta-weirdness of characters from Birmingham’s Without Warning alternate history series appearing in Stirling’s alternate history setting; whether it is polite to bring one’s own sandwich to dinner is moot. The story is effective, fun, and the characters are memorable. As they should be, seeing as they have considerable life… elsewhere. In The Protector’s War, travelers from England to the Pacific northwest describe arriving on the main isle from their smaller islands of refuge (teeming hordes spell doom for efforts to keep a smaller, sustainable population alive in civilized fashion) and discovering a coven had survived, well hidden within the New Forest in Hampshire. Jody Lynn Nye obliges readers with the tale of their survival in “The New Normal,” a story in which the nicest people possible have to adjust to certain changes in the everyday in order to continue. Stirling peopled his anthology in part with authors he’s worked with in one capacity or another. Black Gate blogger Emily Mah, Tuckerized in the Emberverse as the Premier of Western Canada (What? You don’t know? I bet Wikipedia does! ), appears to be one such. Her “A Missed Connection” provokes nostalgia in all of us who remember dial-up connectivity, the early days of email and chat rooms, and the social suspicion that went with all things electronic “back in the day.” In it, a character must face his Changed circumstances and reforge connection to his people even as they pull together to survive. And perhaps Mah reveals one reason why those of the Mormon faith were able to cohere so well after the Change, and not just because of the fabled stockpiling of provisions, a detail that appears in the very first Emberverse novel, Dies the Fire. Stirling’s contribution, “Hot Night at the Hopping Toad” echoes that first novel in its setting and presents the reader with a sort of instant murder mystery for the heir of Montival to navigate. It serves as a good introduction to the anthology. He honors, and rightly so, Diana Paxson, with the final tale of the collection. “Deor” shows readers the Barony of Mist Hills, canonically mentioned in the Emberverse novels. By including Paxson, Stirling honors a true gem of the field, and she rises to the challenge with her excellent story of near-shipwreck, first contact with Montival, skulduggery, and romance. 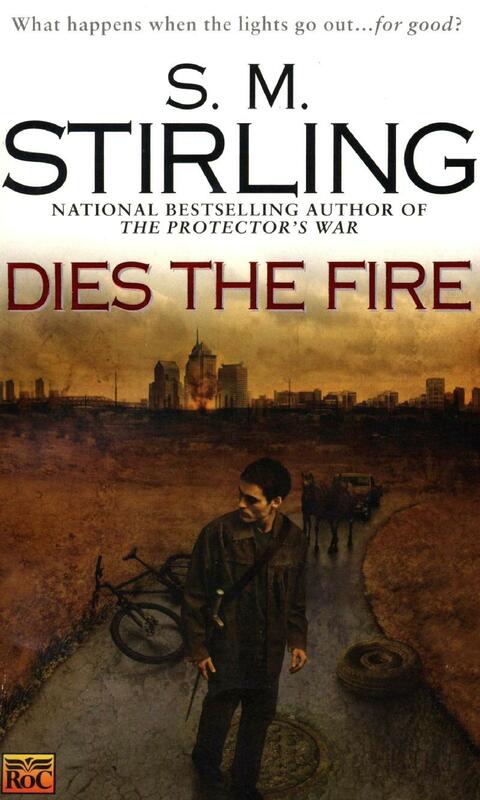 One of Stirling’s central conceits in Dies the Fire is that those with medieval skills, rule. His villain Norman Arminger, a knight of the Society for Creative Anachronism, comes to rule the area near Portland, Oregon. Were he real, he surely would known the first tourney held by the SCA occurred in Paxson’s back yard. More to the point, Paxson’s Westria novels clearly inspired Stirling, and the novels themselves in turn inspire Stirling’s fictional survivors of the Change. “Deor” nicely closes this loop; Paxson’s creation inspiring Sterling and in turn inspiring Paxson. A sterling act of honor, and a fine gift to readers. Win-win. Anthologies can be difficult beasts. This one has a nice mix of recognized giant names, skilled authors who should be better known, and new or newer writers with an open future. Stirling has allowed some drift from his well-established model of the Emberverse, and that’s a good thing. By and large the stories don’t disturb (or don’t appear to disturb) the greater flow of Emberverse narrative, thereby not disturbing readers with work contrary to their previous experience. On the other hand these stories allow readers to enjoy more of what has made the Emberverse a very popular series. 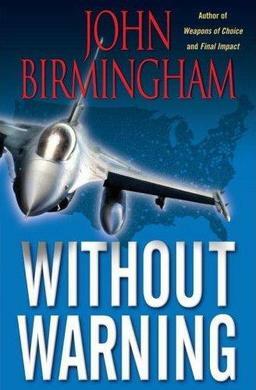 For new readers, this is accessible; it certainly isn’t off limits without prior knowledge of the series. 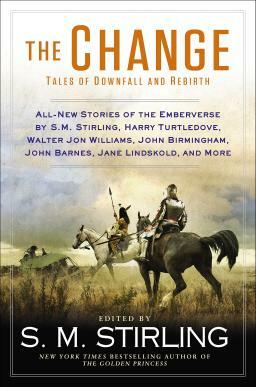 For those familiar with the Emberverse, The Change: Tales of Downfall and Rebirth is an excellent read overall. Out of 16 stories, some may not synch well with any one individual reader–but some or most will. Fans will likely make this a popular title.